Lately, I’ve been really hungry for a good horror game. Despite the fact that I’ve lost countless hours of sleep due to some, I love the intense atmosphere that a good horror game can provide. After getting my new GPU installed in my computer yesterday, I went on an epic quest to find a great horror game. I thought my search was for nothing at first, since most of the games (like Amnesia and slender) had been out for a while, and have been played to death. Additionally, most of the games that looked great are currently in development, and have no beta to test. 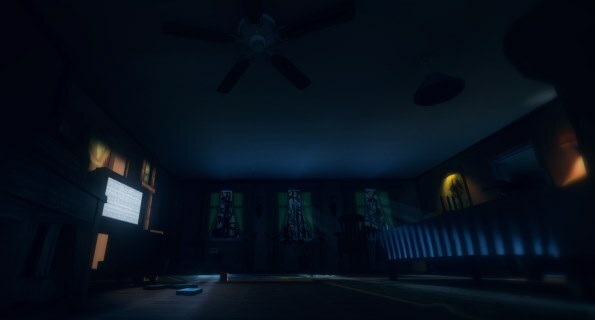 However, after much searching, I discovered the alpha for a game titled Among the Sleep, and after playing it I can say I’m looking forward to it. It feels like Amnesia and Slender have set the trend for many horror games that have come after it. You’re either roaming dark, tense corridors, wary of what may be lying around the corner. Or you’re traversing some open space, being chased while attempting to complete an objective. This isn’t always a bad thing, when done correctly, though sometimes the amount some game rely on the source material is quite frightening (I’m looking at you Haunted Memories). 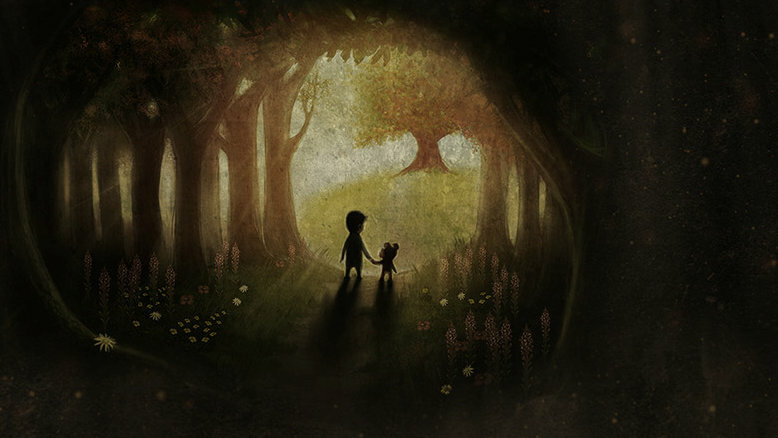 I’m pleased to say that Among the Sleep takes a new, now to me anyway, approach with the setting of its game. Instead of throwing you into a dark, creepy forest, or the run down halls of some castle or asylum, Among the Sleep takes place in the eyes of a mere baby, in his own house. The game opens up with our (hero?) being laid down to sleep in his cradle. Sometime later, you wake up and see your stuffed teddy bear being lifted by some invisible force, and glide across the room and out your door, before falling back to sleep. Once again, you wake up, though this time your own crib is being dragged across the room, and falls on its side, allowing you to escape. At this point, you’re free to wander the house. Upon leaving the room, you notice that furniture is everywhere, and a storm is raging outside. This really gave off a great atmosphere to me, and made me a bit more nervous as I explored the house. After awhile, I heard the loud drone of a machine and tortured cries for help. I turn the corner to see a washing machine going full blast. The cries seem to be coming from the inside of the machine, however you can’t open the door. After a bit of crawling, you realize that you simply need to unplug the machine to open the door, and when you do so, you get a surprise. Waiting for you inside is not a person, but your faithful teddy bear. Apparently he can talk, as he thanks you for saving him, and then informs you that you must find your mother. So, since exploring a house with more problems than something with a lot of problems is the natural course of action, you sling the bear over your shoulder and set off to find your mother. By this point, the game has begun to introduce basic puzzle elements, such as moving furniture in order to open doors out of your reach. You’re given the option to either crawl, or stand up in order to climb things, which I think is a good choice for the developer’s part. I can really see some interesting puzzles to come in the finished version. So, in order to not spoil the entire demo, we’re going to look at two more things; graphics, and controls. There really isn’t much to say about the graphics. They’re very pleasing, to be sure, though they still give off the vibe that you’re playing an indie game, if that makes sense. As for the controls, they actually are a tad clumsy and slow, like you would expect from a small child. It’s a very small feature, but it’s a neat thing to add. And that’s Among the Sleep for you. I’m looking forward to seeing what this game has to offer when it’s a finished product. If you’re interested, please check out and support the developers. If you’re looking to try the alpha, you can grab a copy here. See, I told you I wasn't going anywhere.